Quite frankly, USJ won't stop because they can't stop. Between the jump in admission numbers and the blossoming number of sales that come with everyone making a desperate grab for express passes, I don't see the Universal Cool event going anywhere until that Nintendo world gets here (and even then, I doubt they'll stop). So, we're left with this yearly ritual of picking the one attraction you're willing to wait in a 4-hour line for or, for the more financially inclined, planning out your USJ trips so you can make sure the Express Passes aren’t already sold out. And if the attraction you want doesn’t have any more expresses passes? I hope you’re an early riser and a good runner. 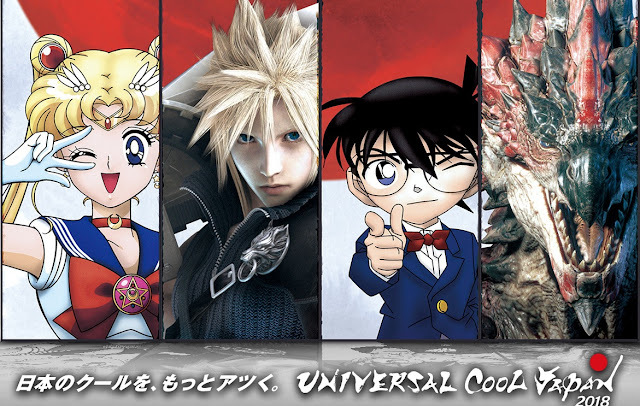 Surprisingly, though, USJ has decided to switch up the line-up (I was half-certain we were doomed to another year of AoT/EVA/MoHun; turns out I was 1/3 right). This year’s event is divided into two parts. These two are the only ones that can draw an FF crowd really. 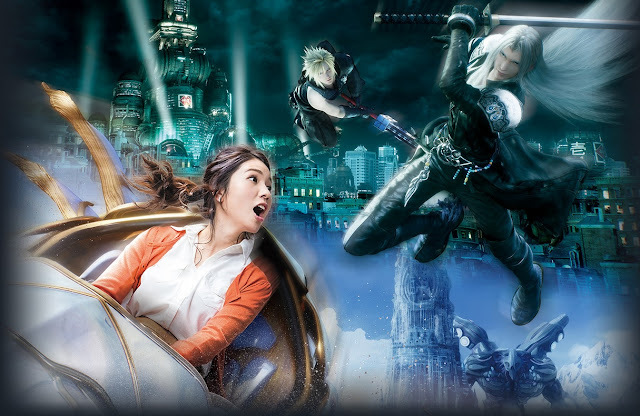 The ride is described as one that will immerse you completely into the Final Fantasy world through the use of XR technology (a VR headset worn while riding the Space Fantasy ride). There will be soldier battles, chocobo herds, and all the other FF visual cues (I’m sure there’ll be summons/aeons/guardian forces/eidolons/avatars/espers/primals in there somewhere). There’s literally nothing else about the ride on he site, it’s just going to be a FF VR-thingy. And we’ll all want to ride it, so bring your best hand warmers, or the cash for those express passes. 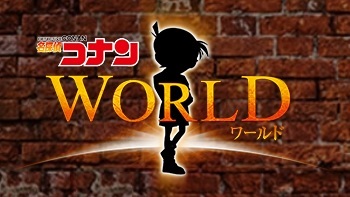 So, it turns out, Conan World Is collection of 3 attractions based on the Detective Conan lore (Conan is really popular in Japan). Conan The Escape (escape room attraction), Conan Mystery Restaurant (?? Uh... blind-taste-testing? ), and Conan Mystery Challenge (a stamp rally). Clearly a selection with the JP fans in mind or maybe overseas fans too, if you’re fluent. 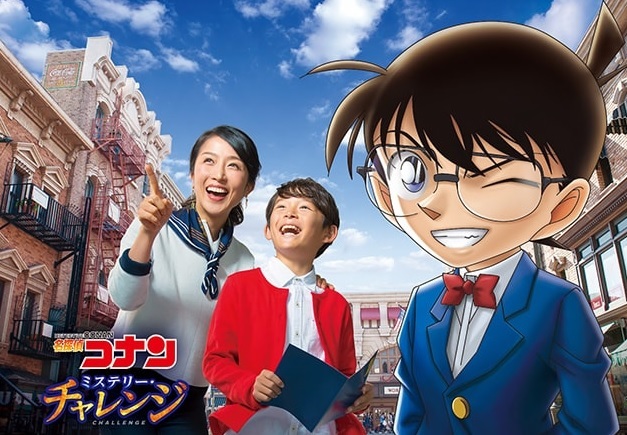 In the escape attraction, you work with Haibara, Amuro, and Conan to unlock the mystery and escape a crisis. There will be real actors performing before you, so it should be a touch more exciting than your average escape room, but as a result, it does require a separate ticket to be purchased. More information on tickets below. The mystery restaurant seems to work similarly to the Sanji restaurant from the One Piece event; essentially it's a lunch/dinner show. 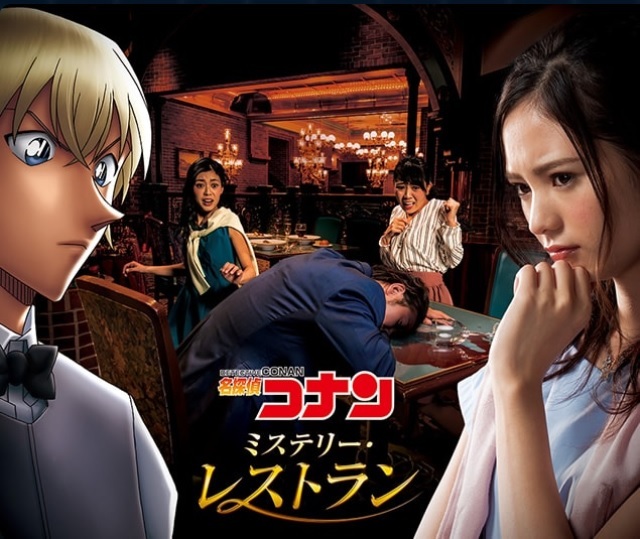 Characters from the series will appear throughout the restaurant, and perform to pre-recorded audio. The twist to this one seems to be that the guests have to find the key to the murder mystery (there is no murder mystery in the One Piece event). This event is reservation ticket only, and they must be purchased in advance. More information below! They make it look like so much fun. The stamp rally event is marketed as an event for parents and children to enjoy, but the site doesn't say it's only for children, so all interested adults, please try it out and let me know how it goes. This event is free to participate in, but once they run out of booklets, that's it. Booklets are available next to Stage 22 in the park. The photo for this year is definitely a step up! 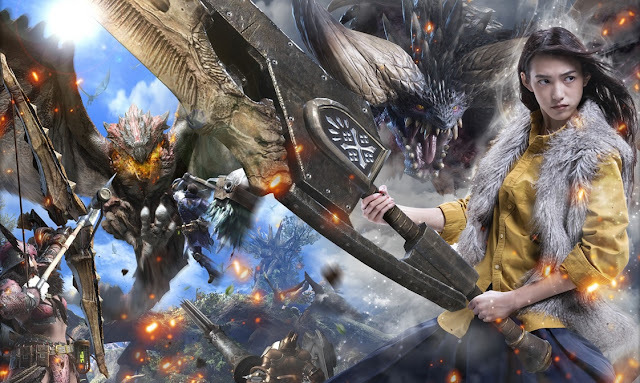 Oh dear, sweet, Monster Hunter. The only attraction from the original Universal Cool group. Probably because they put way too much money in those monster models. As with previous versions of this attraction, it's a walk-through exhibition of the monsters and items from the game. It's almost always empty because it's a pretty quick walkthrough. I recommend it to guests looking for a space to the escape the cold for a few minutes. Now here is a new attraction I'm actually excited about. 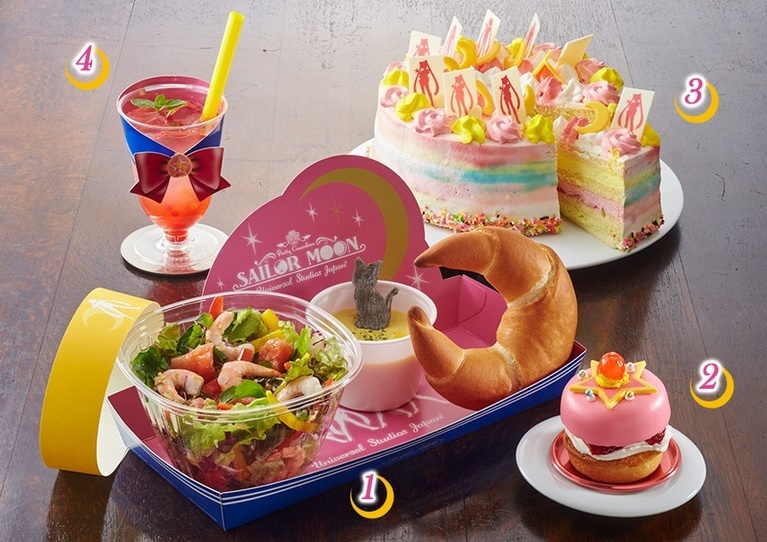 As a long-time Sailor Moon fan, I had always wondered why there had been no attractions made. 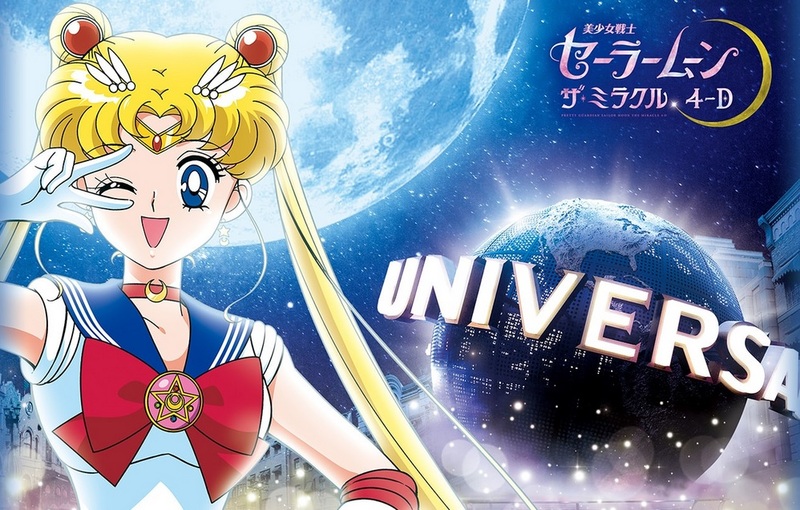 Obviously, they heard my un-vocalized concerns, took a little initiative, and instead of repeating the disappointment that was the Kyary attraction, put a little work into a Sailor Moon one. Good call! This selection is so all over the place. That salad looks sad too. They describe the attraction as a chance to fight together with the Sailor Scouts to overcome some big problem (they're always so vague with these ride descriptions...). Along with the attraction, which will run through the 4-D Cinema, there will be food, merchandise and memorial photos (amount also undisclosed). Overall, you could say Universal Cool is trying to step it up, dipping into IPs that have a lot of international name recognition, but with a bigger crowd comes more crowd control issues. Back when the Evangelion attraction was running, the average wait time for guests without an express pass was 4 hours. That's half of your day at the park spent waiting in line for a 20-30min long attraction. For me, and many other international guests, this kind of math does not add up to a positive park experience. Here's hoping that they do better this year. For those of us with disposable income and little patience, I definitely recommend that you look into one of the many express pass booklets available for purchase online and in the park. Please note that all of these prices have 'starting at' before the prices. This is because the price varies depending on the day (weekends are always more expensive). There are also no children/senior discounts this year. Expresses Passes for the Sailor Moon will be available from the end of January (check back for an upate)! So, as with every Universal Cool event, I recommend that you get to park before it opens so that you another few hundred people or so can make the mad dash to which ever limited run attraction you want to try the most. Multiple trips is the most economical way to go about it, but if you're only at the park for one day, then you might as well go all out and get the Express Pass 4 (like I said earlier, you don't need to pay for Monster Hunter), and ride FF and some other good ones.